The town of Holcomb, Mississippi, was founded in 1901 on land that once was the home site of Choctaw Indian Chief Isaac Perry. 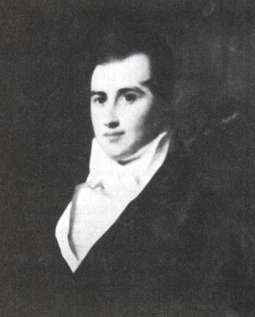 In the public sales of ceded Choctaw lands (the Third Choctaw Land Cession under the Treaty of Dancing Rabbit Creek of 1830) that began in the fall of 1833, 1,120 acres that included Perry's lands and the old Eliot Mission tract were sold to a group of speculators including John Smith (a former member of the mission staff) and speculator and land agent James Girault (1793-1851, shown in an undated painting). 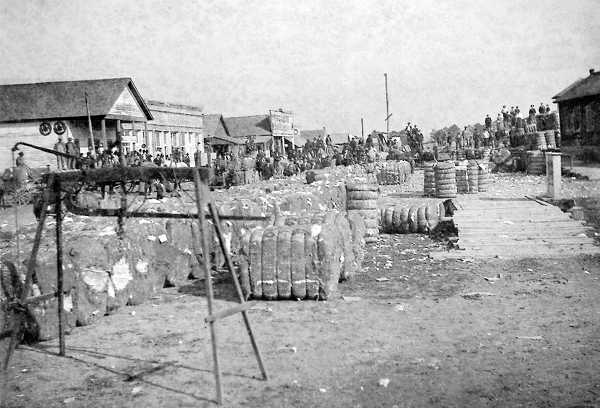 Early Holcomb's streets were "full of cotton bales," and the town had "a social, progressive and industrious citizenship," according to a newspaper report. The Choctaw lands near Holcomb became part of new counties: Carroll, Choctaw, Tallahatchie and Yalobusha, all of which later would contribute to the formation of Grenada County. A Land Office was set up on the Yalobusha River at the new town Chocchuma, which consisted of little more than the Land Office and lodging facilities for the throngs of buyers. James Girault was appointed receiver of public monies at that office. A Choctaw, James Oxberry, whose name lingers in the Oxberry community near Holcomb, was the Land Office's interpreter. The Oxberry community is located on land originally reserved for Oxberry and his children. J.C. Hathorn, in "A History of Grenada County," writes, "From the date of the beginning of land sales through the last day of December in 1833 was just 70 days. These must have been days of feverish activity at the Land Office. During that period, 204 individuals and partnerships bought 80,592 acres of land in the area that is now Grenada County. ... The land was sold on very liberal terms, one-third down, with 10 years to pay off the balance. ... The prices paid ranged from 75 cents per acre to a high price of $6. The average price paid was about $1 per acre." In 1834, Girault, who was a major land speculator as well as a Land Office official, began developing the town of Tuscahoma in Section 16, Township 22, Range 3 east on the Yalobusha River. The town was incorporated in 1836 and the first license to operate a saloon in Tallahatchie County was grant to a business in Tuscahoma. A school, the Tuscahoma Academy, was located about a mile and a quarter southeast of the town at Guy's Corner, named for Maj. Curtis Haywood Guy, who came to the area from North Carolina and operated a large plantation near the site of the later Holcomb School buildings. "The large Colonial home, which had a commanding view of the lowlands, was surrounded by crepe myrtle, maple trees [with] ... brilliant foliage after frost," The Grenada County Weekly reported. Today's Bellevue hill echoes that image, click here. About 1836, Girault built a large home, which he called "Bellevue," on a rise near the old Eliot Mission site, where he operated a plantation. Tuscahoma gradually was abandoned, Girault's fortune dwindled, and "the Bellevue Place" was bought by Dr. J.M. Williams, a circuit-riding physician who had come to Mississippi from Georgia, at an auction at Charleston for $750 in gold. During the Civil War, as Union troops moved through the area, Bellevue and most of its contents were spared, but soldiers seized all the doctor's medical books -- but not for reference. Pages of the books later were found crumpled and strewn all over land where the dysentery-plagued troops had camped. 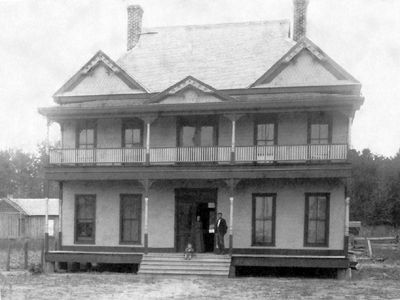 The Holcomb hotel, shown about 1905, burned in the 1920s. It was located just south of the town's main street near the railroad depot. The town had "several good general stores. The Bank of Holcomb was established in 1905, with a capital of $30,000," according to a 1907 report. Williams, in 1884, sold Bellevue to David Lafayette Holcomb (1844-1934), who had married his daughter Georgia. Holcomb, born in 1844 in Surry County, N.C., had moved with his parents to Gonzales County, Texas, in 1859. At age 18, he enlisted in the Confederate Texas Volunteer Regiment and fought in Texas and Arkansas throughout the Civil War. In 1867, he left Texas with a herd of horses and headed for Mississippi, where his mother's family had settled, selling the horses as he went to pay his way. He settled near Guy's Corner and gradually began to acquire land. On April 20, 1901, when the Yazoo & Mississippi Valley Railroad linked Grenada with Parsons, Holcomb realized a depot on his land would draw considerable trade. On Sept. 14, 1901, he filed a plat (surveyed and drawn by Steve Ritchie of Winona) of the new railroad town of Holcomb, with two main streets paralleling that railroad line. 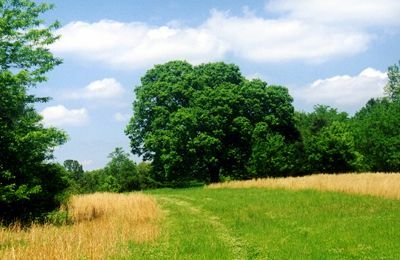 The name Holcomb derives from the early English words "holt" meaning woods and "combe" meaning valley, or "wooded valley," a fitting name for the area's lovely wooded countryside. Early businesses included several general stores, the Bank of Holcomb (established in 1905), a stave factory, a saw mill, an ax-handle factory, a cotton gin, a blacksmith's shop, a hotel and a school. The town also had "a stave factory, a saw mill, an ax-handle factory, a large Munger-system cotton gin, one church ... and an excellent school," according to a 1907 report. The hotel was built by Jack Curry and managed by his wife. They were succeeded by L.T. Hayden and his wife and then by Lena Dear, who owned and managed it until it burned in the 1920s. The town was incorporated in 1905. Mayors included W.H. Martin, R.A. McRee, John Brewer, M. Hey, John Hayden, C.O. Aven and J.L. Tribble. Town marshals included E.R. Beard, W.W. Williams, Murphy Shumate and a Mr. McCaulla. Incorporation lapsed during World War II. Major fires struck the town twice, with devastating effect. In August 1927, a blaze that was believed to be arson destroyed more than half the businesses. A second fire in 1937 also burned many stores. Recovery was not easy. The Great Depression hit hard on the heels of the first fire. World War II closely followed the second. Bellevue was destroyed by fire in 1926, but many of the original homes built soon after the town's founding remain, their craftsman detailing and wide porches as welcoming today as in Holcomb's early years.